TDX Construction Corporation is serving as Construction Manager for pre-construction and construction phases for a major redevelopment of approximately 265,000 GSF at Manhattan Psychiatric Center on Wards Island. 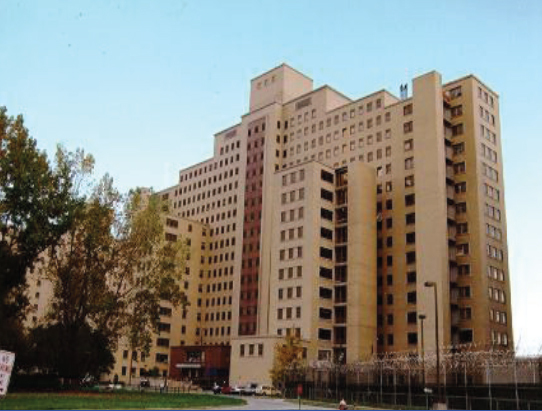 The gut renovation project includes 25-bed secure inpatient care units with central observation desks on nine floors of the Dunlap Building along with three treatment malls and creation of a double height gymnasium by removing a portion of one floor. The first floor of the building includes pedestrian entry and exit sally ports as well as a vehicular sally port and secure entrance for arriving clients. A new 14-stop, 3-cab elevator tower will be added to serve the A-side of Building 102. The basement, 1st and 2nd floors of Dunlap will be renovated to consolidate all administration and support programs including pharmacy, education and training. Site improvements also include new controlled patient recreational yards, and reconfigured vehicle and pedestrian pathways. The work entails phasing of construction and maintaining building and site security at all times. This major redevelopment will be designed and constructed utilizing Building Infrastructure Modeling (BIM).